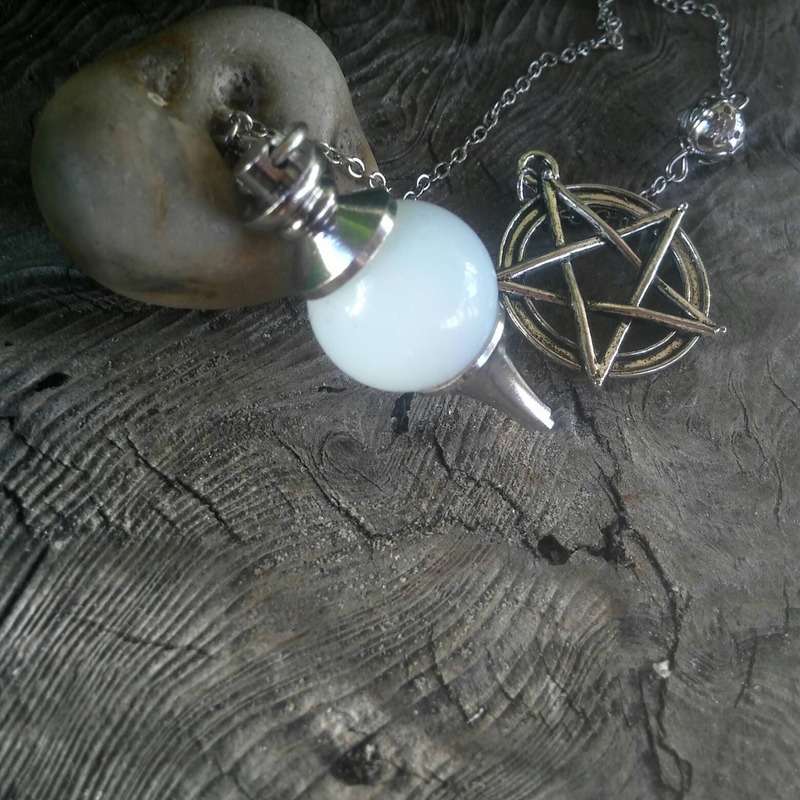 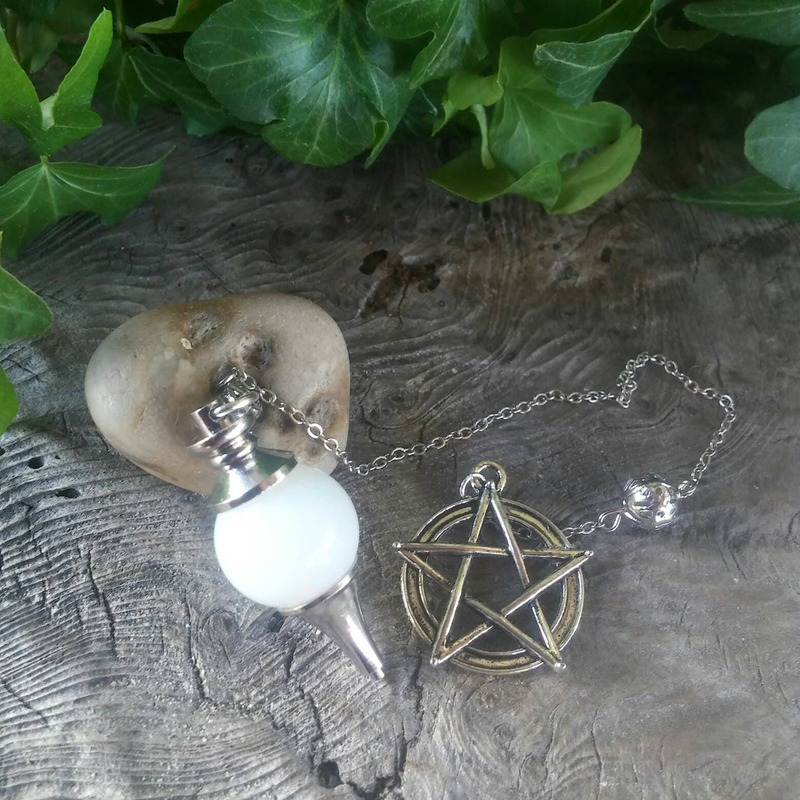 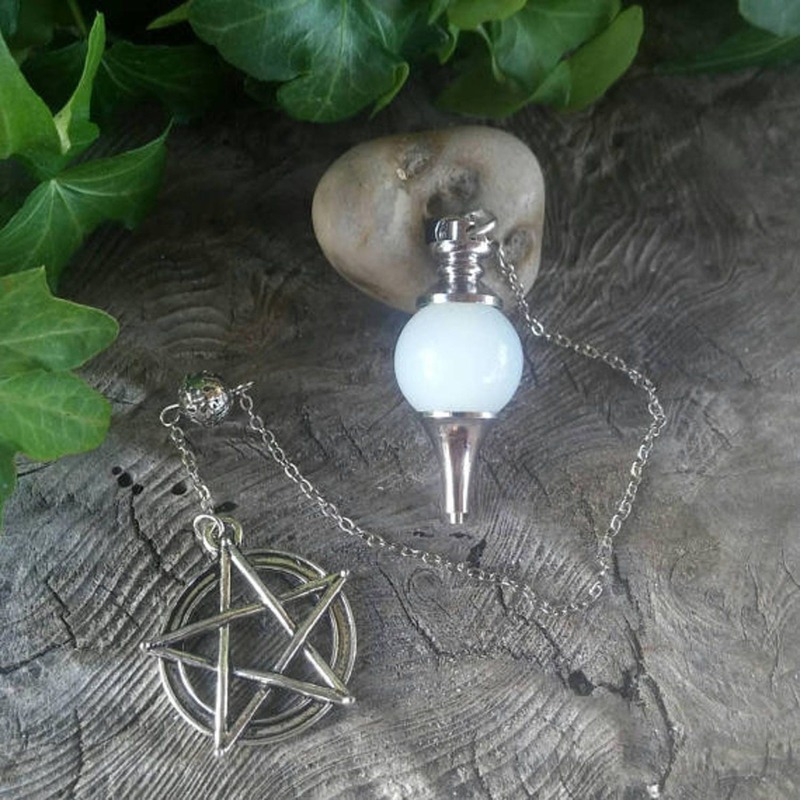 This Opalite pendulum is an Opalite dowsing pendulum for divination and the crystal ball is 40mm long including mounting hardware. 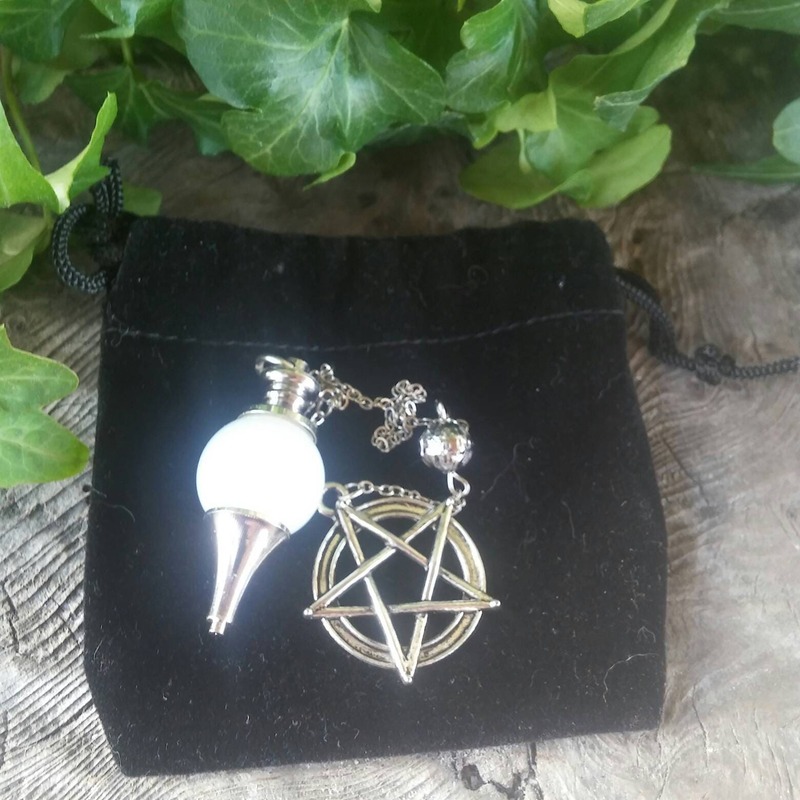 It features a silver plated pentagram charm and has a 17.8cm (7 in) silver plated curb chain with a silver plated filigree ball. 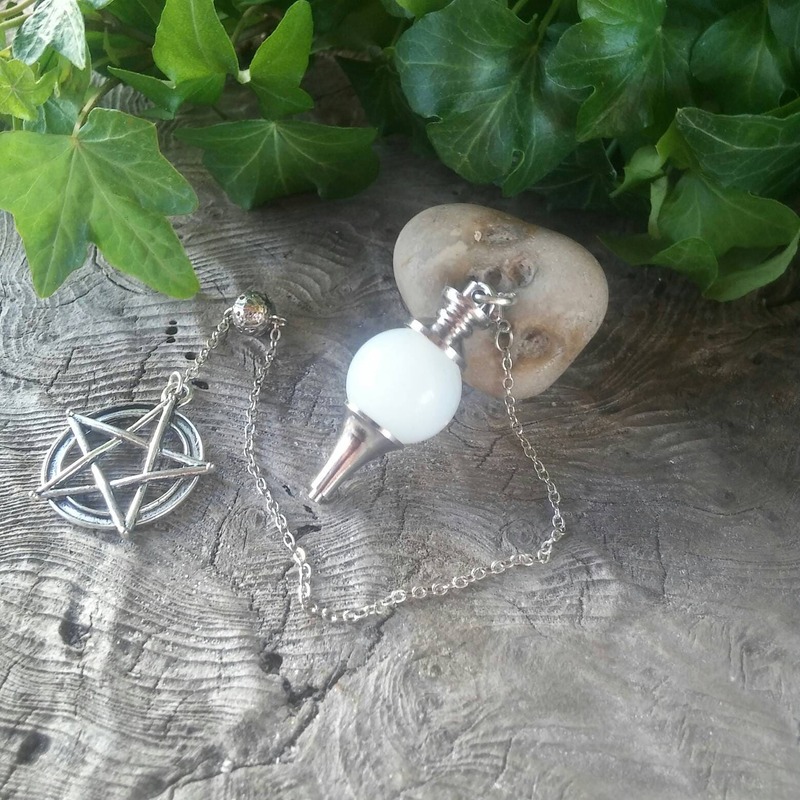 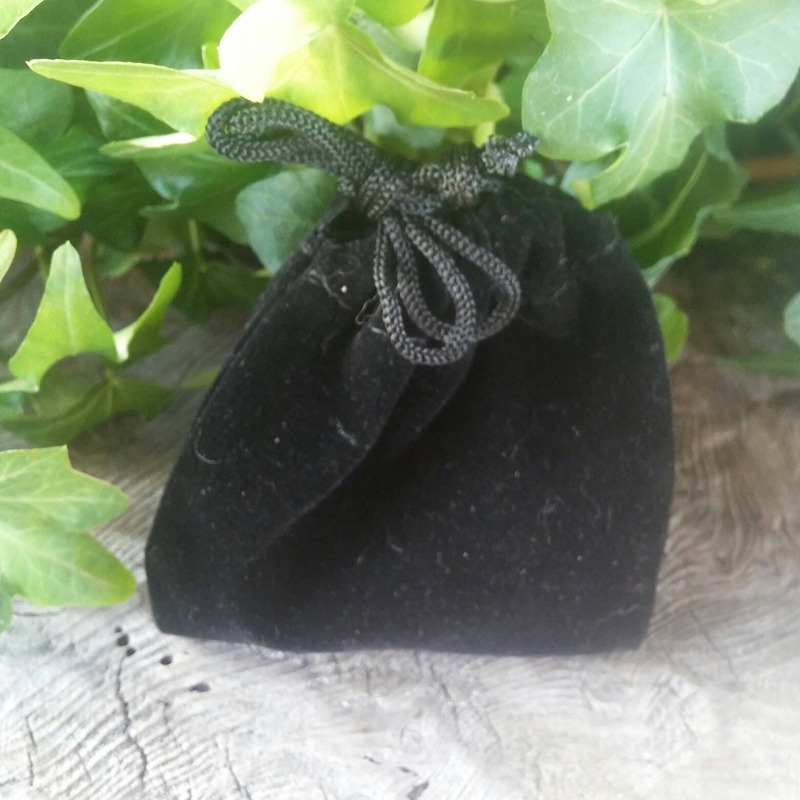 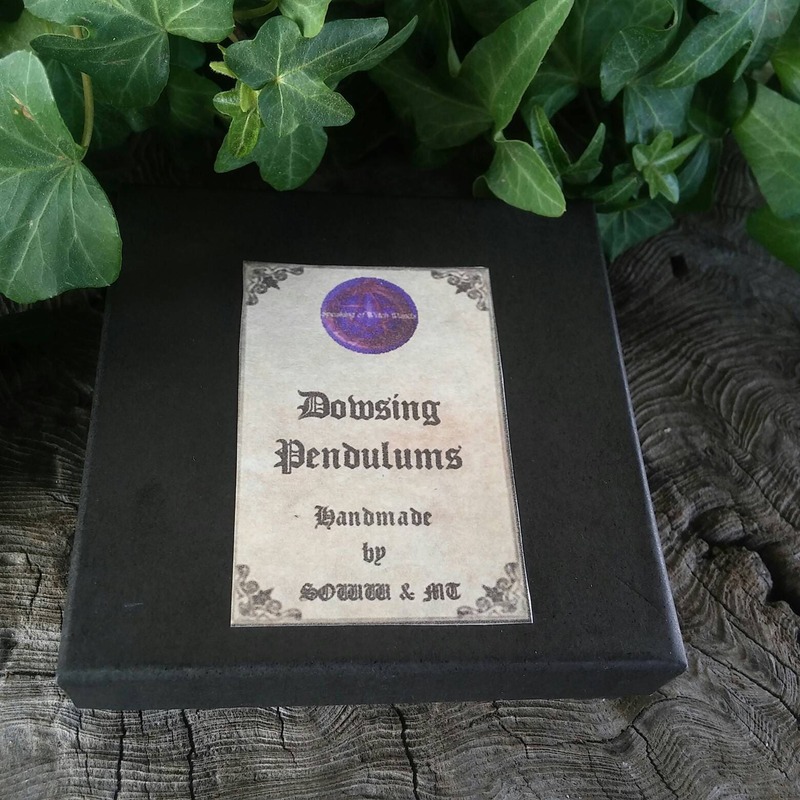 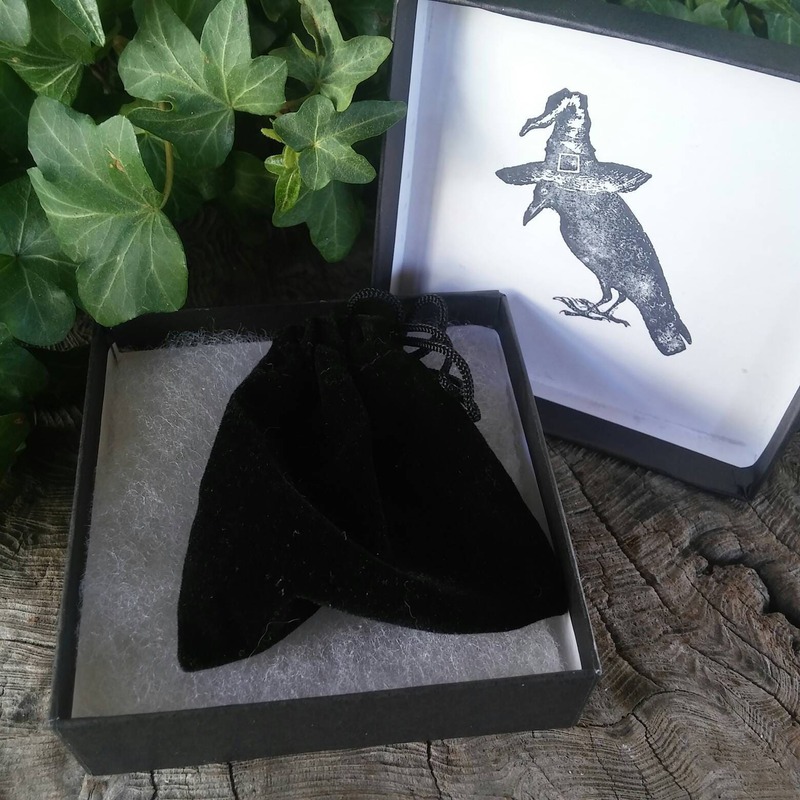 Crystal pendulums have been used for divination in witchcraft and the occult for many years.